Skyline Taxis offer the best availability of business taxis to the business community of Bedford, employing the largest fleet of vehicles and drivers providing a fast, efficient and reliable service. As the longest established Minicab company in Buckinghamshire, Bedfordshire and Northamptonshire with over 30 years of successful trading, you can be assured of a safe, secure and prompt service. Skyline Taxis: Keeping your business moving. Book Business Taxis for any local or long-distance journey to and from Bedford and the surrounding areas. Skyline Taxis provide executive cars and drivers for business airport Taxis with the driver displaying a name board for the passenger at the arrival gates. Skyline Taxis: Business Taxis bookings at the touch of a button. 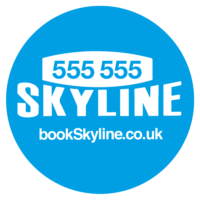 Booking for staff, guests or yourself couldn’t be easier with Skyline Taxis. Business account customers of Skyline Taxis receive a priority service. You can make your business taxi booking using our latest technology from the most popular App in Bedford to your dedicated account on the Skyline Taxis website or by phone. Open an account with Skyline Taxis today. Skyline Taxis make doing business easy. With a Skyline Taxis business account, you and your staff will be safe and secure, with a reliable cab service available for business travel 24 hours a day, 365 days a year. Instead of petty cash vouchers and unreadable receipts for business Taxi journeys, you will receive a fully itemised monthly invoice that will detail the time and dates of the Taxi trips, the name of the person travelling, the destination, and the charge incurred. 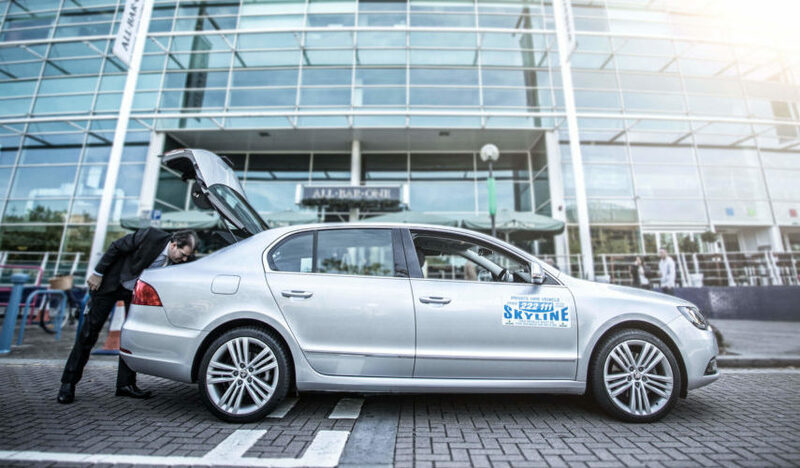 Skyline Taxis provide your business with options to fulfil your needs. Business taxis can also be prepaid using card payment methods via our App or online or, pay for journeys using card chip and pin within our VIP cars. Skyline Taxis is playing a pivotal role in helping to keep Bedford business moving. Please note accounts incur a 10% administration charge and are subject to VAT.